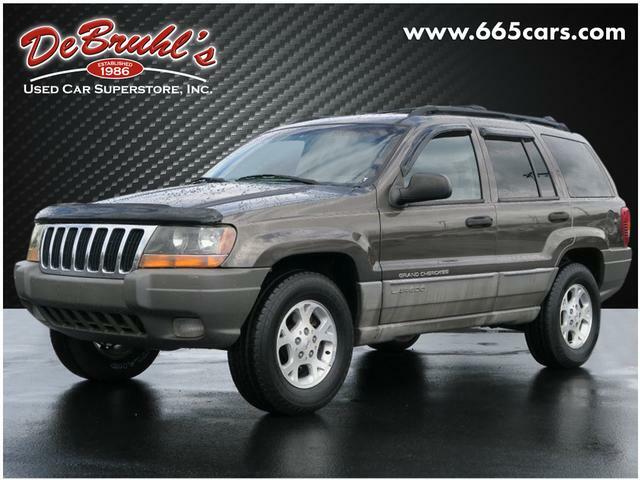 * TINTED WINDOWS * * 6 Cylinder engine * * GREAT DEAL AT $6,950 * * 2000 ** Jeep * * Grand Cherokee * * Laredo * This 2000 Jeep Grand Cherokee Laredo is a great option for folks looking for top features like a AM/FM radio and CD player, anti-lock brakes, and dual airbags. It has a 6 Cylinder engine. Exhibiting a charming beige exterior and a camel interior, this vehicle wont be on the market for long. Dont skimp on safety. Rest easy with a 4 out of 5 star crash test rating. Make more room for weekend trips with the fold down rear seat. Dont wait until it is too late! Call today to schedule an appointment. DeBruhls Used Car Superstore is the largest independent auto dealer in WNC! We offer a full range of financing with our guarantee credit approval, everyone is approved here.